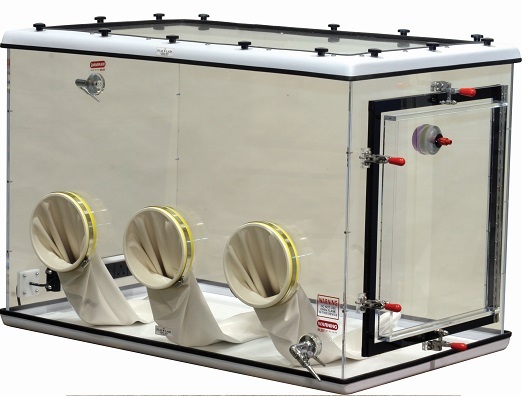 This unit features cleanliness, safety, complete containment, portability, and a draft-free atmosphere. The Compact Glove Box is designed for use in hazardous situations where materials to be weighed must be contained. 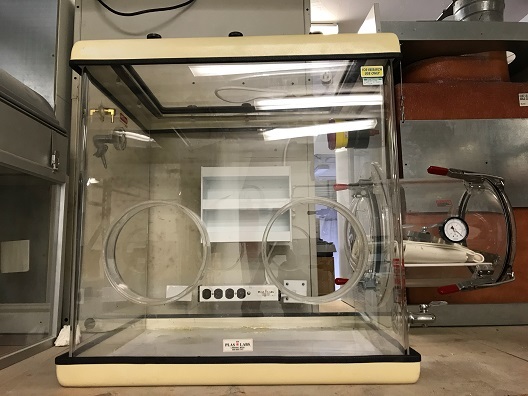 The chamber is ideal for determining the dry weight or moisture content of aqueous solutions, adhesives, cereals, toxic chemicals, pharmaceuticals, paper, plastics, and light radioactive materials. It minimizes product degradation caused by moisture absorption. The 830-ABB is beneficial when working with toxic substances, asbestos fibers, sewage residue, and harmful liquid vapors. 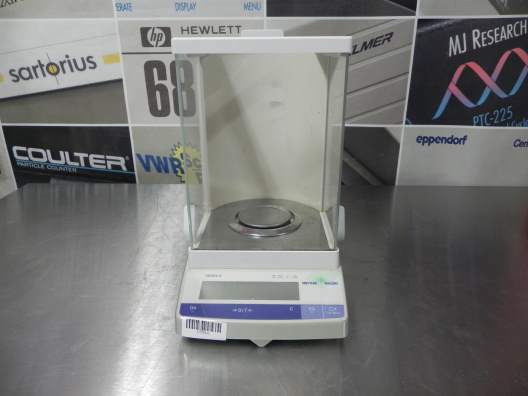 For use with analytical balances, top loaders, bench scales and/or moisture analyzers. Four sizes available. Top section is removable for easy installation of equipment. Four purging gas valves (two on the transfer chamber and two on the main chamber). White leveling tray for easy transferring of liquids. All clamps stainless steel and completely adjustable. White ambidextrous Hypalon gloves for superior chemical and U.V. resistance. Hospital grade multiple electrical outlet strip U.L.-C.S.A. approved. Pressure relief valve minimizes glove "fight back". H.E.P.A. and organic vapor canister filters (replaceable). Transfer chamber is 12" long x 11" diameter (Interior Dimension). 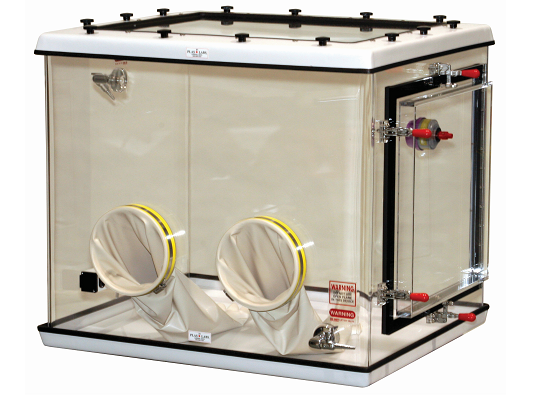 This unit features cleanliness, safety, complete containment, portability, and a draft-free atmosphere. The Compact Glove Box is designed for use in hazardous situations where materials to be weighed must be contained. 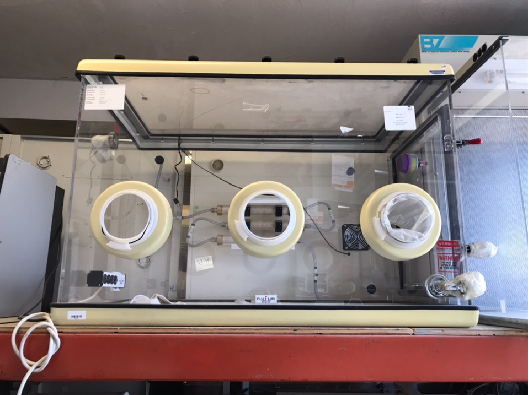 The chamber is ideal for determining the dry weight or moisture content of aqueous solutions, adhesives, cereals, toxic chemicals, pharmaceuticals, paper, plastics, and light radioactive materials. It minimizes product degradation caused by moisture absorption. The 830-ABC is beneficial when working with toxic substances, asbestos fibers, sewage residue, and harmful liquid vapors. 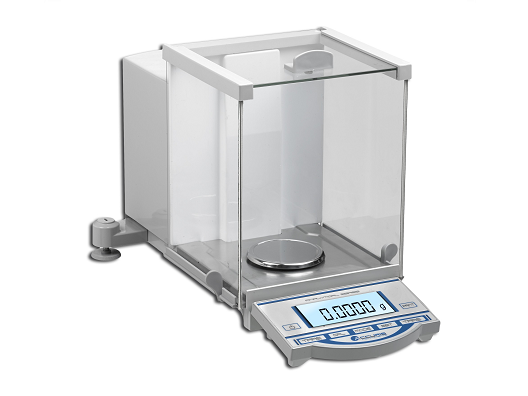 For use with analytical balances, top loaders, bench scales and/or moisture analyzers. Four sizes available. 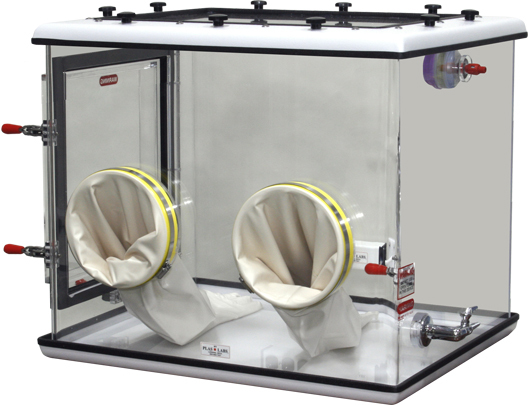 This unit features cleanliness, safety, complete containment, portability, and a draft-free atmosphere. The Compact Glove Box is designed for use in hazardous situations where materials to be weighed must be contained. The chamber is ideal for determining the dry weight or moisture content of aqueous solutions, adhesives, cereals, toxic chemicals, pharmaceuticals, paper, plastics, and light radioactive materials. It minimizes product degradation caused by moisture absorption. The 830-CP-10 is beneficial when working with toxic substances, asbestos fibers, sewage residue, and harmful liquid vapors. For use with analytical balances, top loaders, bench scales and/or moisture analyzers. Four sizes available. 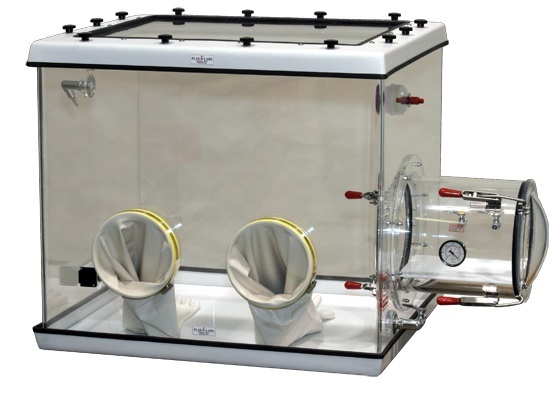 This unit features cleanliness, safety, complete containment, portability, and a draft-free atmosphere. The Compact Glove Box is designed for use in hazardous situations where materials to be weighed must be contained. 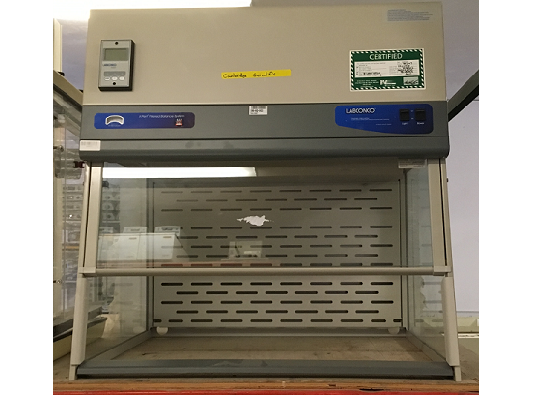 The chamber is ideal for determining the dry weight or moisture content of aqueous solutions, adhesives, cereals, toxic chemicals, pharmaceuticals, paper, plastics, and light radioactive materials. It minimizes product degradation caused by moisture absorption. The 830-CP-20 is beneficial when working with toxic substances, asbestos fibers, sewage residue, and harmful liquid vapors. 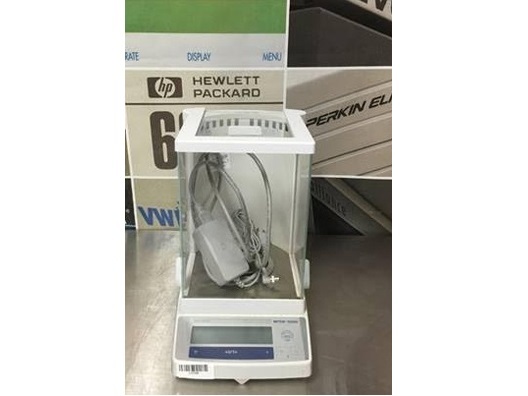 For use with analytical balances, top loaders, bench scales and/or moisture analyzers. Four sizes available. 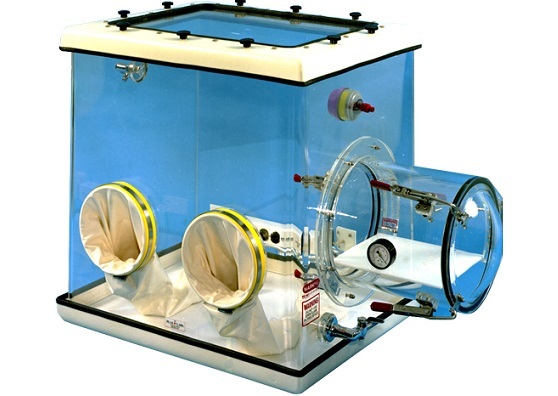 Transfer chamber is 12" long x 11" diameter (Internal Dimension).